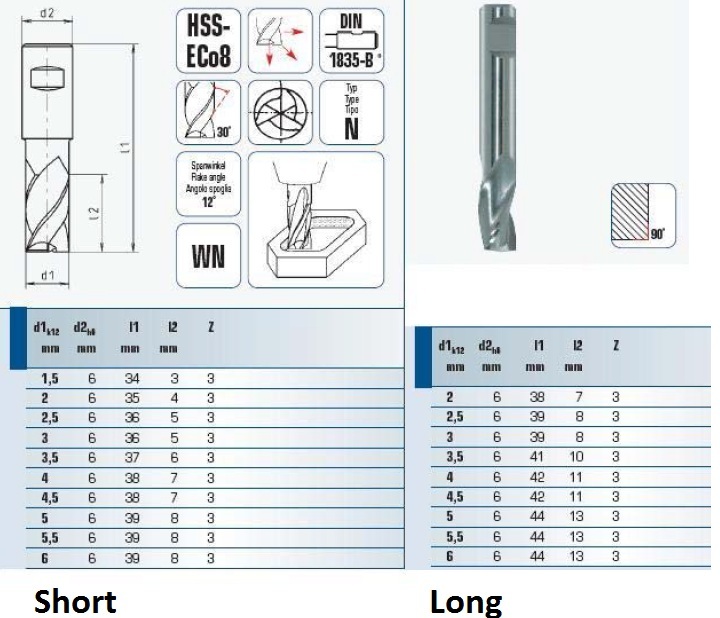 HSS-Mini End Mills, Three Flutes long 4mm (1256004001) | DamenCNC B.V. These are mini endmills which work very nice with the kress and other hobby motors. The pricing is quite nice. It has some features which makes it nice for the hobbyist. 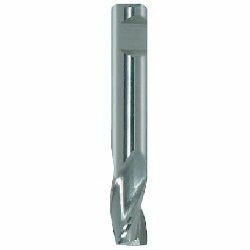 It no problem to drill with this endmill for example. Another nice feature is the clamped diameter of all these mills is 6mm. So you dont need special clamps.